[0:08] <Travis> I think you have to switch your repositories to jessie, then back to wheezy. [0:09] <shiftplusone> Travis, heh... that's some cargo culting right there. [0:13] <Travis> Well, you have to do what you have to do, to make it work. [0:15] <Travis> I am so wrong right now anyway. I am using an old keyboard, from a DynaPro lunchbox PC, via a USB to mini DIN adapter. [0:15] <Travis> My pi has gone old school. [0:18] <Travis> I will come back, when my ZNC compiling completes. [0:23] <siwica> what are the default login credentials on rasbian? [0:27] <ShorTie> that is the login for the offical raspbian, where did you get your image from ?? [0:48] <Dephenom> Evening Guys, I am looking to get some CCTV set up here, and was wondering if the Raspberry PI is able to do that, with expansion boards I guess, and would 1 PI be able to manage more than 1 camera? [0:54] <Dephenom> ShorTie, so have a PI per camera, I will be starting out with one camera and expanding as I need to. [1:03] <SpeedEvil> USB cameras _DO_NOT_ play well together. [1:03] <SpeedEvil> The Pi has one USB port, with a hub on it. [1:05] <Froolap> you have to consider that whatever you are using to save video with has also got to do motion detection..... and then convert what the camera sends into some type of standard format. [1:05] <SpeedEvil> Also - modern I3 class haswell systems can use low power. [1:06] <Froolap> dep I'm useing a laptop with a 500 gig hard drive and the 4 caperas eat it in a week. [1:13] <Froolap> and then when you do find something interesting you find out that the action you wanted to see happened during the 9 seconds you weren't recording. [1:26] <Dephenom> thanks for your help guys :) its past midnight here so I am off to bed, g'night! [2:00] <HtheB> What happened to the logs of march 25? [2:04] <shiftplusone> HtheB, we don't talk about the 25th of March. [2:05] <shiftplusone> All I can say is, they don't want you to know the truth. [2:05] <shiftplusone> Either that or the logging bot dropped out. [2:07] * shiftplusone starts burning documents. [2:08] <HtheB> shiftplusone, I wanted to add a potentiometer to the PiTFT, remember? [2:09] <shiftplusone> HtheB, perhaps it was ali123? [2:17] <HtheB> ozzzy using a pot meter? [2:18] <pksato> schematics appers to wrong. [2:23] <HtheB> so, what is it...? [2:25] <pksato> pwm part are ok. problem is signal output. [2:26] <pksato> normally use pin 3 of 555 as output. [2:26] <pksato> what is smtpe610? [2:28] <pksato> R5 R9 junction is connected to it. [2:28] <pksato> If this point is 0v, Q1 not conduct, and no led. [2:30] <pksato> that is actual led condition? [2:32] <HtheB> ozzzy, do you have a pitft? [2:34] <pksato> HtheB: that on this condition, leds are on or off? [2:34] <pksato> ok is good. [2:35] <pksato> you can make a "stupid" test? [2:35] <pksato> shot circuit pin 7 and 8 of 555, led can off. [2:36] <pksato> it is safe. [2:37] <siwica> I want to connect my raspberry pi (running raspbian) to my music system and stream music from other computers (linux) to it. What is the best solution to do this? [2:37] <pksato> 7 and pin 1 or gnd. [2:38] <pksato> humm... 8 and 7 is not safe. sorry. [2:39] <HtheB> so, what to do now? [2:40] <pksato> led can be to off. [2:40] <pksato> it not, have wrong/fault connection, o Q1 is damanged. [2:41] <siwica> i was disconnected. did somebody answer? [2:45] <pksato> you circuit can be work too. [2:45] <pksato> just need to figure out what happens. [2:45] <pksato> have a oscilloscope? [2:48] <pksato> and R2? you know? [2:49] <pksato> 555 is working? [2:49] <pksato> build a standard astable to test ot. [2:50] <pksato> no. 1 to 7 is to test if Q1 is working as expected. [2:50] <pksato> or this configuration not work. [2:50] <pksato> or 555 not working. [2:51] <pksato> or R2 is not have a propper value. [2:52] <Ownix> Hey guys, what web brower do you guys use on Raspbain? It seems like Chromium on apt is a super old version and there is no Firefox so you need to use Iceweasel does this sound correct? [2:53] <pksato> you want to controll led brightness? (with out 555) simple way, connect cursor of R2 to Q1 base, and one of R2 leg to GND, is not perfect control. [2:56] <HtheB> pksato would it work with the pot meter? [3:31] <HtheB> pksato: unbelievable, it works! [3:46] <Phosis> Hey folks...I am having difficulty. I have been trying to edit my config.txt to set my Raspberry up for the proper resolution of my TV. But no matter what amendments I make, None of them are being reflected, and my resolution is stuck to the squished default settings. [4:13] <HtheB> does anyone know what I can do to make it more like www.htheb.com/list/images/pitft/potentiometer2.jpg ? [4:43] <cehteh> there is a complete different circruit or? [4:45] <cehteh> so it works now or what? [4:46] <HtheB> cehteh, where u from? [4:46] <Froolap> any chance that the os selection will be increased shortly? [4:47] <cehteh> what os selection? [4:47] <cehteh> and what do you miss? MSDOS? OS/2? [4:48] <cehteh> Froolap: whats "something" ? [4:49] <Froolap> I had pidora working, then the sd card died, I tried another sd card, but ya know, 50 formats later I can't get pidora or raspbarian to boot. [4:49] <cehteh> using linux or windows? [4:51] <Froolap> It's a card that had a working image from the pi B+, I reformatted it for the pi2b..... it never completed booting again. [4:51] <cehteh> how did you reformat it? [4:53] <cehteh> huh .. what OS image do you miss? [4:53] <cehteh> sdformat is from windows or what? [4:56] <cehteh> you have a linux machine at hand? [5:08] <Froolap> It's not the same image that was available a week or so ago..... what I had then worked, what I get now doesn't. [5:08] <cehteh> and you didnt kept the old image? [5:09] <Froolap> NO, I had a virus take out my drive, it's dead. [5:09] <Froolap> I suppose that's my fault too. [5:10] <cehteh> virus taking out a drive? [5:10] <Froolap> yeah, it happens when you tell the drive to seek a sector that is 3 inches beyond the edge of the platter. [5:21] <Froolap> well, for whatever reason, it's unreadable, and won't take a format. [6:17] <puzzola> AfterDarkness: dd is the usual way to do it, yeah. [9:56] <slvmchn> i see the ding, from days ago... how am i to know? 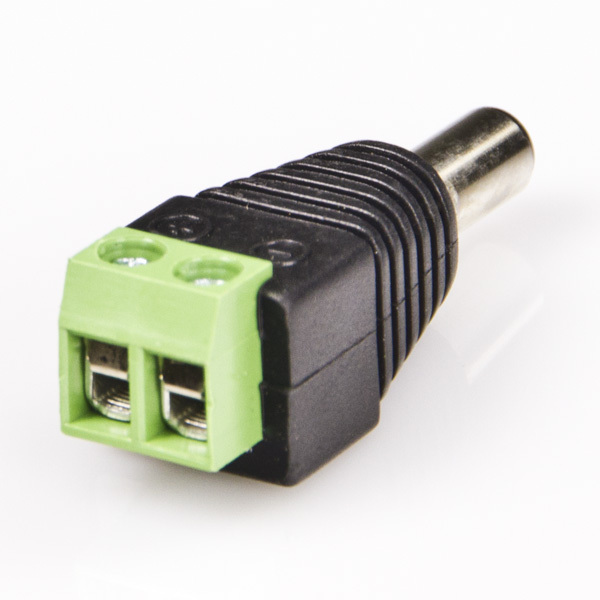 [12:33] <dave44> which GPIO ports should I use to connect a USB RS 232 serial interface to my rpi 2? [12:34] <Xark> dave44: There are RX and TX hardware serial pins, I would think you want to use those. [12:35] <Xark> Anton2k: OpenELEC works great on RPi IME. [12:35] <dave44> ppq: is that one for the rpi 2? [12:37] <Xark> dave44: Sounds believable. :) You can enable the "boot spam" from Linux kernel via rpi-config (and I think it will then let you login from serial - or easy to add). [12:39] <Xark> dave44: Did you enable boot spam? [12:40] <dave44> The white lead to TXD. [12:40] <dave44> The green lead to RXD. [12:40] <Xark> dave44: Yeah, I have one of those. Worked fine for me (but I haven't tried on RPi2 yet). [12:41] <Xark> dave44: Yeah, AFAIK, the exact same as the picture you linked (even though 40 pin GPIO connector). [12:43] <dave44> but it has to be different for the rpi 2 ? [13:04] <heller\> anyone know how to shrink my raspbian image to less than 8gb? [13:34] <Froolap> I can akmost get it to boot, but no keyboard/mouse to complete first boot. [13:45] <ShorTie> sounds like you got a rpi2, you got a rpi maybe ?? [13:45] <Froolap> I have both, working on the rpi2 currently, the rpiB+ is running nicely. [13:48] <ShorTie> with it booted on the rpi ?? [13:51] <Froolap> whatever it is..... I can't take the chip ffrom one and boot the other. [13:52] <Froolap> how do I do that if it doesn't boot? [13:54] <Froolap> chicken and the egg. [14:08] <ahop> How to write on this with Pi? [14:32] <CoJaBo> It's at least semi-plausible. [14:44] <CoJaBo> Usually they just say, "Ok, let's apply the pythagorean algorythm to zoom in! Pixelify that sector! Rotate 90° on the Z-axis!" [14:55] <CoJaBo> It looks like they took C-ish code, then inserted "release malworm" somewhere random in the middle for no logical reason..
[15:31] <Ownix> Can someone explain why running it 3 different ways gives me three different output? [15:36] <Ownix> shauno: I can understand that. so is doing sh myschript.sh === ./myscript.sh ?? [15:38] <rymate1234> any advantages of using raspian over ubuntu? [15:43] <Ownix> rymate1234: for starters it comes with compilation settings adjusted to produce code that uses "hardware floating point", the "hard float" ABI and will run on the Raspberry Pi. [15:43] <shiftplusone> Ownix: ubuntu is hard float as well. [15:44] <shiftplusone> in fact, it's a little better tuned for the pi 2 than raspbian, since raspbian maintains compatibility with pi 1. [15:44] <Tachyon`> ahh, ubuntu uses arm7 binaries? [16:29] <asdf150408> hi all. I'm looking for the source code for Broadcom's openmaxil library (I heard that the whole stack is open now except for the binary kernel blob) - github.com/raspberrypi/firmware just contains the openmaxil.so. Anyone know where the source code is? [16:33] <shiftplusone> asdf150408: it's open, but the firmware does the heavy lifting. You'll see a lot of functions which just tell the firmware to do the thing. [16:38] <asdf150408> I see... I'm coming up video_decode's "Incoming frames will be buffered to protect against file system read latency when playing back" "feature". I realise some buffering is necessary (B-pictures etc.) but it seems to use much more than it needs, when I'm controlling the packet input rate elsewhere. [16:46] <Sonny_Jim> Do you mean networked or more than one controller? [16:59] <TrickyD> anybody know what im doing wrong when i hooked up my rpi to a 2.1A phone charger and i still keep getting the rainbow square ? [17:00] <ShorTie> cheap micro-usb cable ?? [17:02] <TrickyD> could that also explain crashing ? [17:08] <TrickyD> the awg24 thing ? [17:08] <jer> TrickyD, i feel your pain, i'm in Costa Rica; similar problem. [17:09] <Chillum> Bilby: hot glue? [17:10] <strobelight> what would I need to view http://www.nasa.gov/multimedia/nasatv/NTV-Public-IPS.m3u8? [17:10] <methuzla> Bilby agree, wish they would leave the micro usb unsoldered. have a foot print for it along with a screw terminal foot print. let end user decide. [17:11] <TrickyD> im going shopping, thanks for the advice shortie! [17:12] <strobelight> Bilby: you have chrome on the pi? [18:27] <Bilby> I think I'm going to order some parts and play around, see what works well. [18:30] <HtheB> guys, what is the best place to get 5 volt from rpi1(B)? [18:36] <Bilby> what's he current draw on the amplifier? [18:39] <Bilby> Well, where are you getting it? [18:43] <HtheB> although, I will attach a battery, maybe soldering to the battery would be a better idea? [18:45] <Bilby> If you're powering it from a battery it's probably better to go directly to the battery. [18:46] <Bilby> do you have a link to the amplifier? [19:06] <shiftplusone> in which case, it's still pointless, but effectively so. [19:17] <steve_rox> sure it ent french? [19:20] <Sonny_Jim> Jet engines no longer mean "higher/faster than a missle can hit"
[19:21] <Sonny_Jim> How about we leave the military discussion to more relevant channels, eh? [19:22] <Chillum> unless you have a Raspberry Pi powered SAM project? [19:22] <nfk|laptop> Sonny_Jim, what is that? 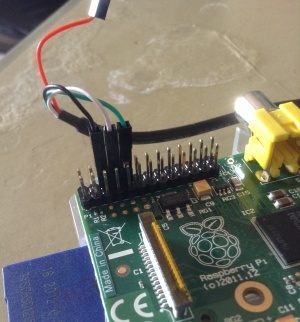 [20:08] <HtheB> does anyone know which gpio ports aren't used with the PiTFT? [20:16] <anunnaki> how do i find out the sound card info on a pi? lspci? [20:19] <anunnaki> well no im not using a usb thingy for sound.. i just installed a new os and its acting like the pi has no sound whatever its called if not a sound card..
[20:19] <nfk|laptop> why would kali even have it? it's for security probing, right? [20:20] <anunnaki> nfk|laptop: yeah so why wouldnt they have sound? [20:24] <shauno> or loaded. try "modprobe snd_bcm2835" ? [20:27] <anunnaki> nfk|laptop: oh is that how it works..
[20:28] <dreamon> at booting → FAT-fs (mmcblk0p1): Volume was not properly unmounted. Some data may be corrupt. Please run fsck. → do I have to fix this? [20:29] <anunnaki> i dont think they were considering memory too much because they included iceweasel as the browser which slows everything down when its ran. [20:30] <zvonimir> Hi guys! Any idea why nfs-server and/or rpcbind doesn't start on boot? [20:32] <HtheB> power as in Ampere? [20:41] <Anotn2k> Look for some advice, for a mini htpc which is more stable an quad core android box i.e. mx box g box w/e running kodi or the latest raspberry pi running openelec? [20:53] <Sonny_Jim> "We have too many standards, the solution is, another standard"
[20:56] <giddles> do you got some fail2ban iptables for a rpi in your network? [20:56] <giddles> is that common? [20:58] <giddles> so i can save the fail2ban and iptable stuff? [20:58] <ppq> for SSH its always a good idea to disable root login, enable key auth, change port to something 5 digits high, install fail2ban, etc. [20:58] <Sonny_Jim> Have you setup any port forwards on your router? [20:59] <ppq> nfk|laptop, with ctrl+r search in the terminal its not, you dont have to type it all..
[20:59] <giddles> ich scanned it bymyself and i cant find an acess..
[21:01] <Sonny_Jim> nfk|laptop: If the device is not talking to outside, then what's the point in having NAT in the first place? [21:01] <giddles> how do you run sec on your pi's? [21:04] <giddles> noone cant give me incorrect advice ;) i knew what could i do ..
[21:11] <knob> nfk|laptop, got to keep to Flander's Family Safe. [21:19] <Sonny_Jim> What didn't they do? [21:20] <Sonny_Jim> Weird. I've never had a problem with different SD cards. [21:20] <Sonny_Jim> You sure your cardreader isn't faulty? [21:21] <Sonny_Jim> How were you writing the images? [21:21] <Sonny_Jim> Weird. Did the cards work OK otherwise? [21:31] <Froolap> led is dimable, depends on how many tissues you place over it. [21:36] <giddles> 5$.. think they betray me... 39 euro for b2..
[21:37] <giddles> whats uk sale price? [21:38] <ozzzy> gpio coolant? heat sinks? [21:39] <nfk|laptop> giddles, what are you hysterical about? [21:40] <Froolap> they ment to have the nick giggles but they were chuckling too much. [21:41] <nfk|laptop> giddles, how did you avert it by attaching chinese made something to your electrically powered device? [21:43] <giddles> thats not rpi fault, its the dealer who want to sav some $? [21:51] <giddles> ever smelled coolant bauxit glue? [22:04] -NickServ- This nickname is registered. Please choose a different nickname, or identify via /msg NickServ identify <password>. [22:04] -NickServ- You have 30 seconds to identify to your nickname before it is changed. [22:04] -NickServ- You are now identified for DataBot. [22:04] -MemoServ- You have 2 new memos.